Most adrenal masses can be divided into three broad categories. 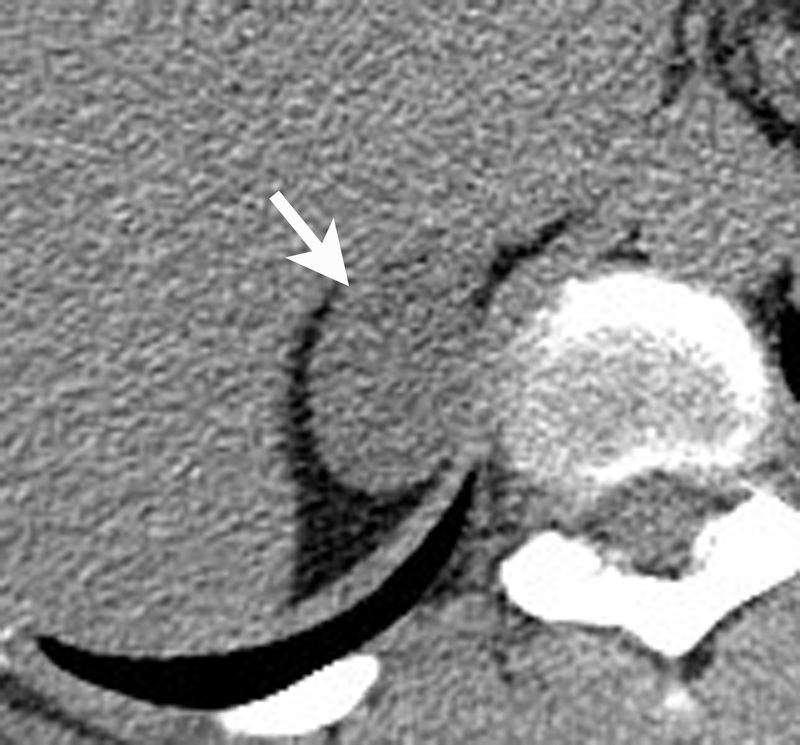 The first category consists of lesions known as “Aunt Minnies.” These lesions can be diagnosed immediately and with high degree of certainty so that no further imaging work-up is necessary. The second category consists of incidentalomas, which cannot be diagnosed on initial discovery, but require further imaging to elucidate their nature. The ACR White Paper provides a helpful decision tree to determine the most appropriate imaging test to work-up the incidental adrenal lesion. 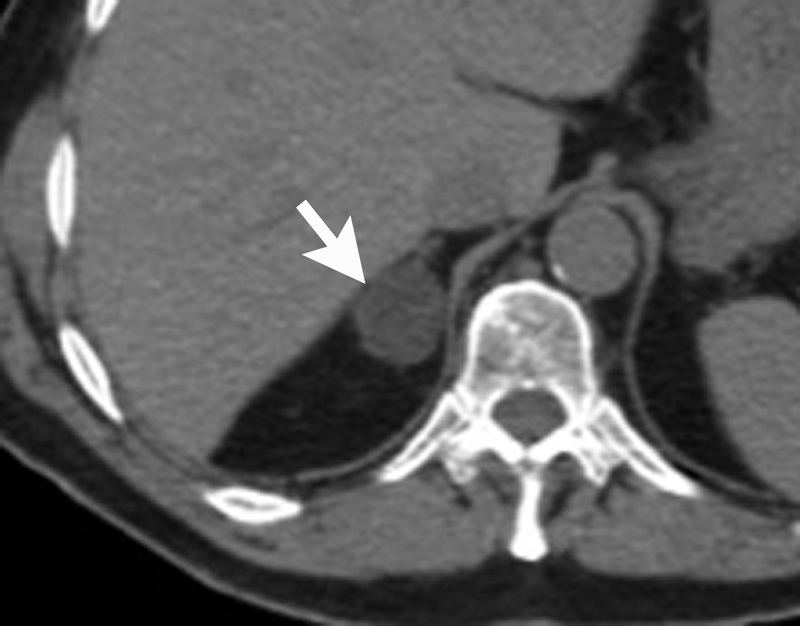 The third category comprises adrenal “conundrums,” which are lesions that remain indeterminate after dedicated adrenal imaging. 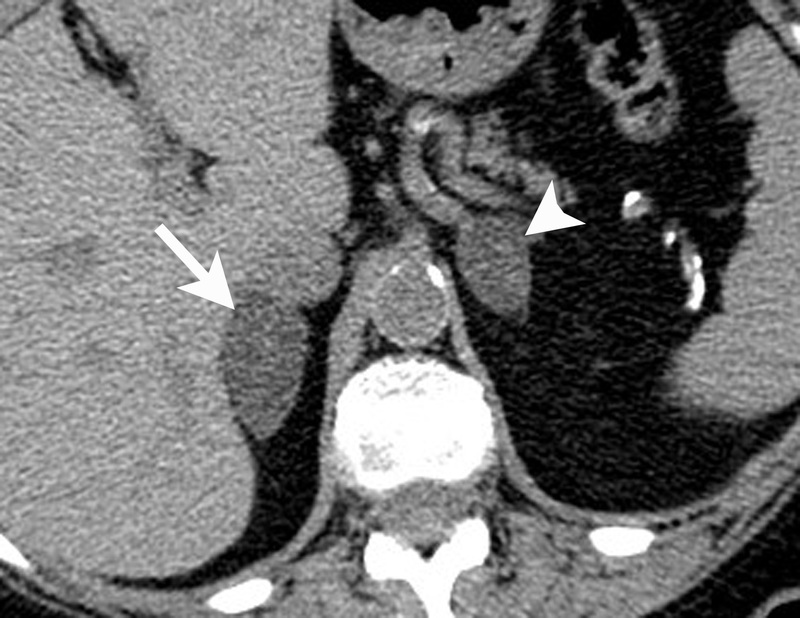 In these cases, image-guided adrenal biopsy may be performed for definitive diagnosis. This group of adrenal masses can be correctly diagnosed with a high degree of certainty based on their imaging appearance.3 They include myelolipomas, cysts, and lipid-rich adenomas. 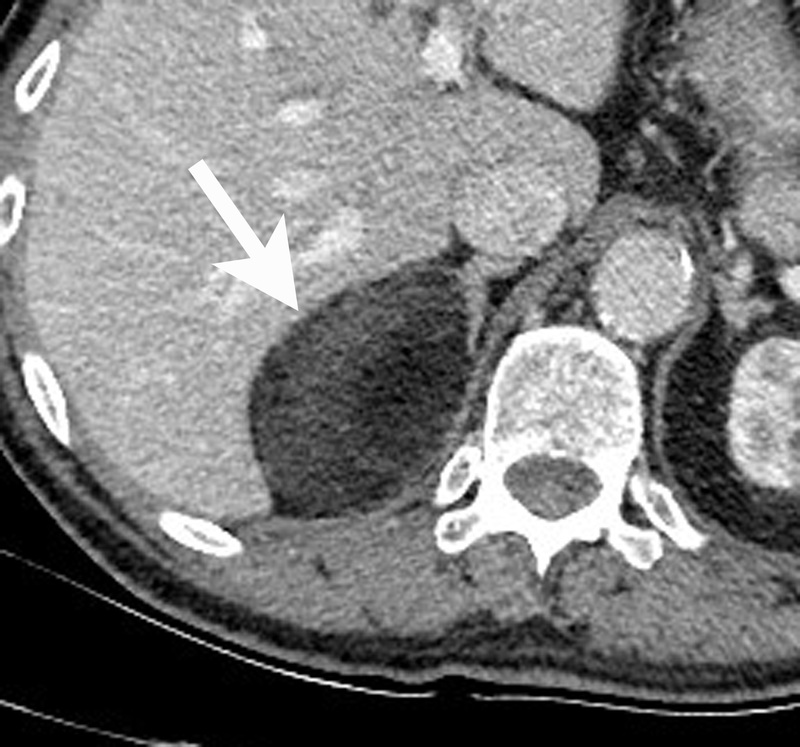 Most adrenal masses are discovered serendipitously during a contrast-enhanced CT performed for reasons other than evaluation of adrenal disease. The majority of these adrenal incidentalomas are caused by adrenal adenomas. 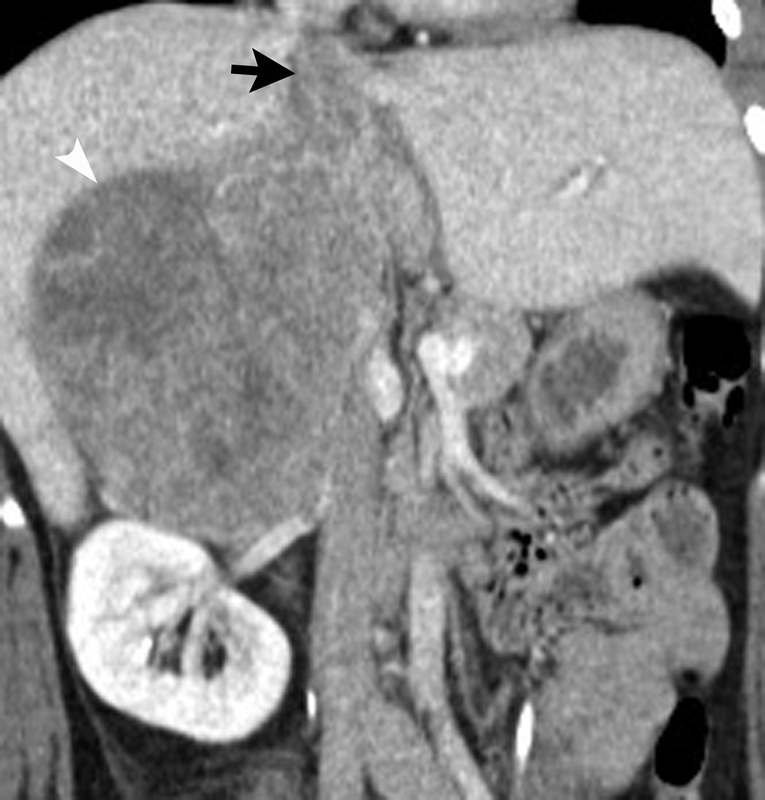 However, because adrenal adenomas cannot be definitively diagnosed on a routine contrast-enhanced CT, a plan of action or imaging algorithm is needed to distinguish adenomas from nonadenomas (eg, metastases). The ACR White Paper presents a flowchart for how to proceed when confronted with an adrenal incidentaloma.1,2 Incidental adrenal lesions measuring greater than 4 cm should be considered for surgical consultation or biopsy due to increased risk of malignancy. Incidental adrenal lesions measuring between 1 cm and 2 cm, with no history of cancer are likely benign. 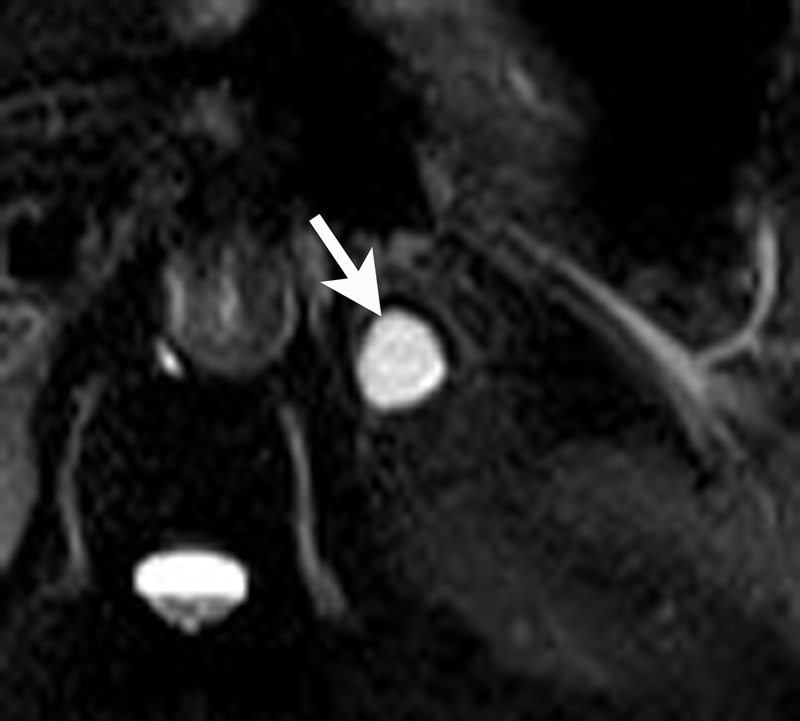 In these cases, the ACR recommends 1-year followup with dedicated adrenal CT or chemical shift MRI. 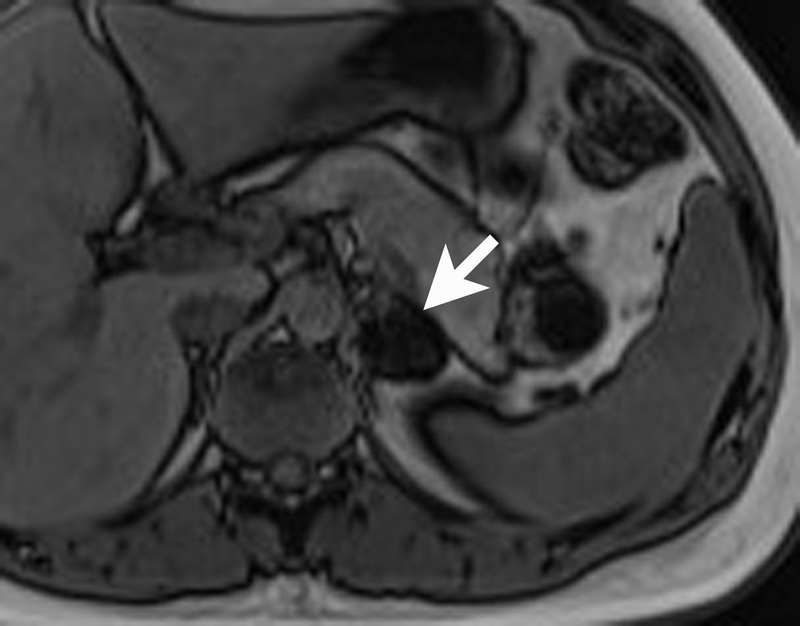 For incidental adrenal lesions measuring between 2 cm and 4 cm, dedicated adrenal CT or chemical shift MRI can be considered at the time of initial discovery to confirm benignity. APW = [(Enhanced HU) – (15-minute delayed HU)/(Enhanced HU) – (Unenhanced HU)] × 100. RPW = [(Enhanced HU) – (15-minute delayed HU)/(Enhanced HU)] × 100. 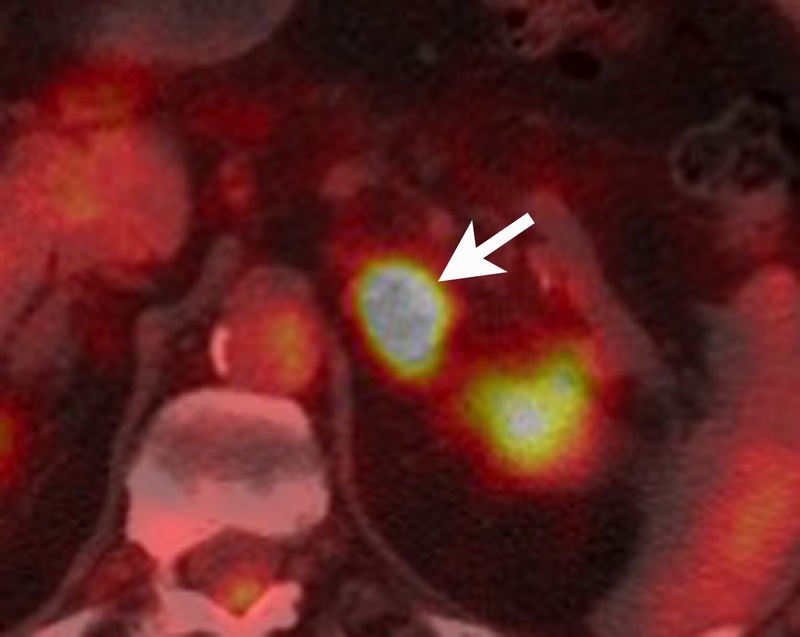 If an adrenal mass can not be characterized and diagnosed using the traditional dedicated adrenal imaging methods described above, one may consider imaging with 18FFlourodeoxyglucose PET/CT, or performing an image-guided adrenal biopsy. Radiologists play an important role in the diagnosis of adrenal diseases. In cases of adrenal Aunt Minnies, the correct diagnosis can be made confidently without additional diagnostic imaging tests. 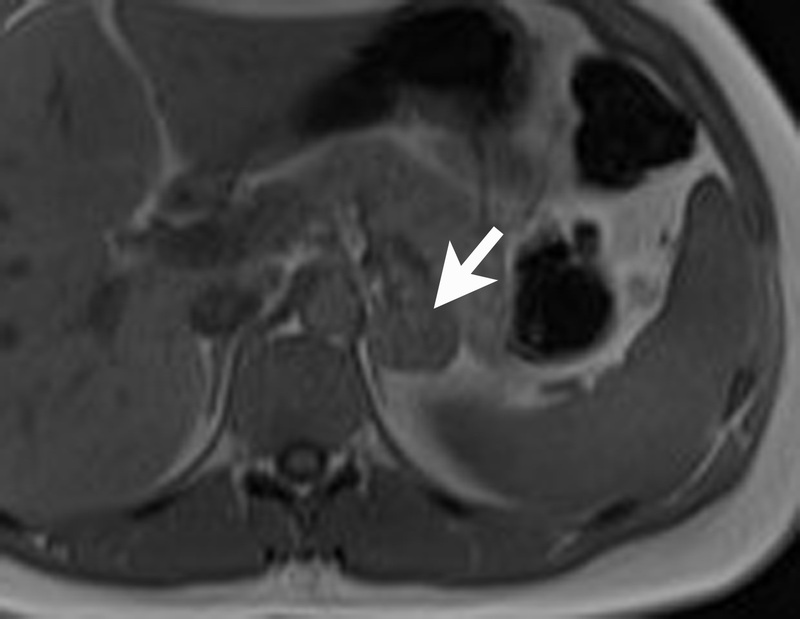 The majority of adrenal incidentalomas will be benign adenomas and these tumors can be differentiated from non-adenomas by following the imaging algorithm outlined in the ACR White Paper on management of incidental findings. Lastly, when diagnostic imaging is inconclusive, resulting in an adrenal conundrum, adrenal biopsy can be performed safely and accurately with CT guidance. Mayo-Smith WW, Song JH, Boland GL, et al. Management of adrenal masses: A white paper of the ACR incidental findings committee. J Am Coll Radiol. 2017;14(8):1038-1044. Applegate KE, Neuhauser DV: Whose Aunt Minnie? Radiology. 1999;211(1):292. Vick CW, Zeman RK, Mannes E, et al. 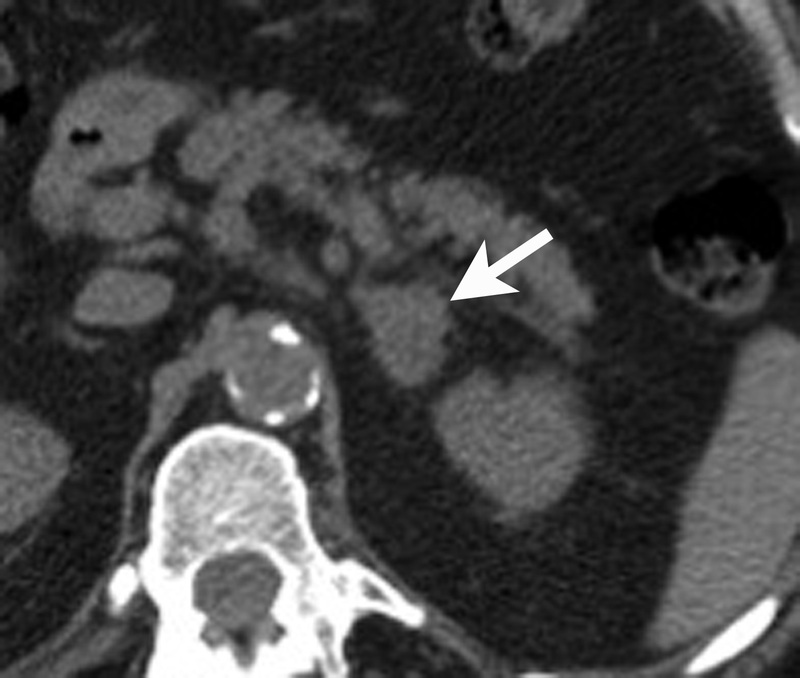 Adrenal myelolipoma: CT and ultrasound findings. Urol Radiol. 1984; 6(1):7-13. Boland GW, Blake MA, Hahn PF, et al. Incidental adrenal lesions: principles, techniques, and algorithms for imaging characterization. Radiology. 2008; 249(3):756-775. Cyran KM, Kenney PJ, Memel DS, et al. Adrenal myelolipoma. AJR Am J Roentgenol. 1996; 166(2):395-400. Rao P, Kenney PJ, Wagner BJ, et al. Imaging and pathologic features of myelolipoma. Radiographics.1997; 17(6):1373-1385. Dong A, Cui Y, Wang Y, et al. 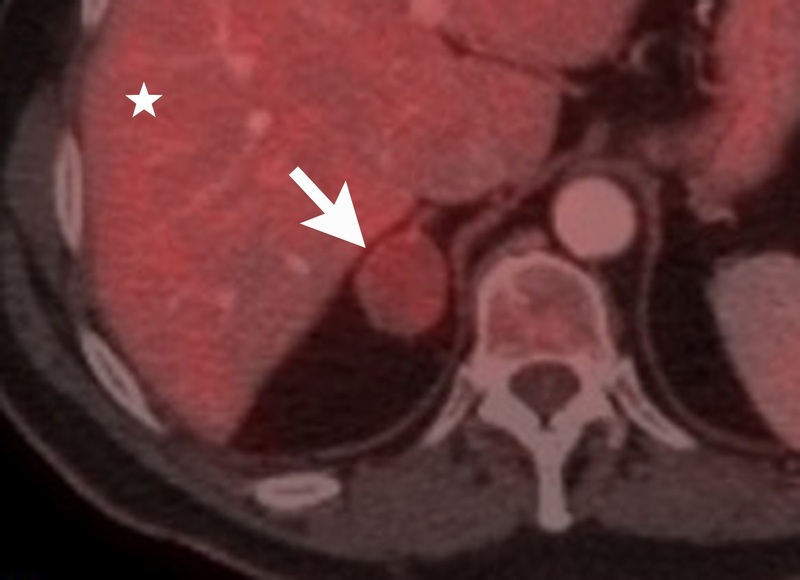 (18)F-FDG PET/CT of adrenal lesions. AJR Am J Roentgenol. 2014; 203(2):245-252. Ricci Z, Chernyak V, Hsu K, et al. Adrenal cysts: natural history by long-term imaging follow-up. AJR Am J Roentgenol. 2013; 201(5):1009-1016. Young WF, Jr.. Clinical practice. The incidentally discovered adrenal mass. N Engl J Med. 2007; 356(6):601-610. Boland GW, Lee MJ, Gazelle GS, et al. Characterization of adrenal masses using unenhanced CT: an analysis of the CT literature. AJR Am J Roentgenol. 1998; 171(1):201-204. Korobkin M, Giordano TJ, Brodeur FJ, et al. 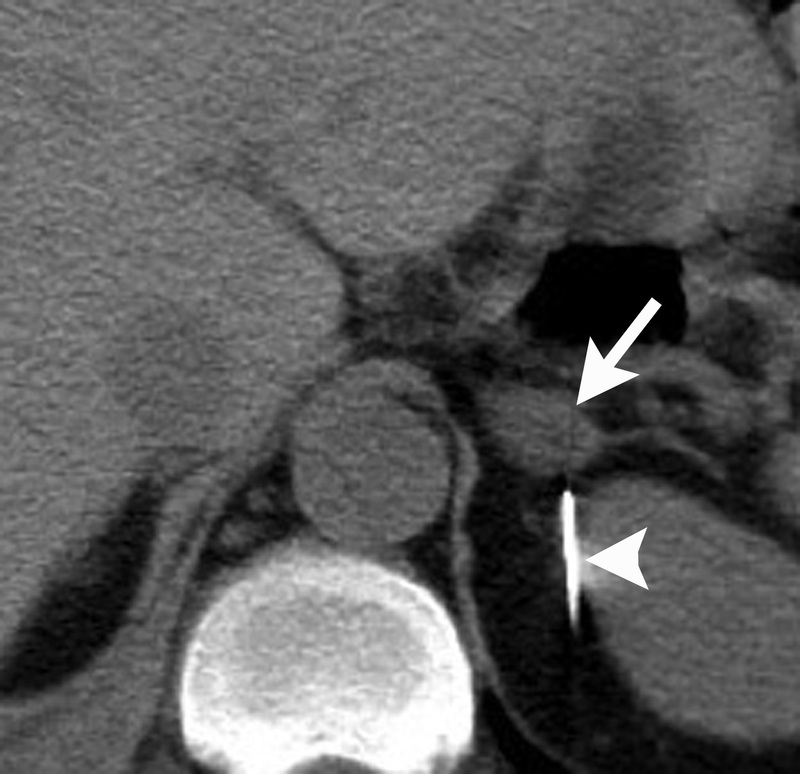 Adrenal adenomas: relationship between histologic lipid and CT and MR findings. Radiology. 1996; 200(3):743-747. Fujiyoshi F, Nakajo M, Fukukura Y, et al. Characterization of adrenal tumors by chemical shift fast low-angle shot MR imaging: comparison of four methods of quantitative evaluation. AJR Am J Roentgenol. 2003; 180(6):1649-1657. Caoili EM, Korobkin M, Francis IR, et al. 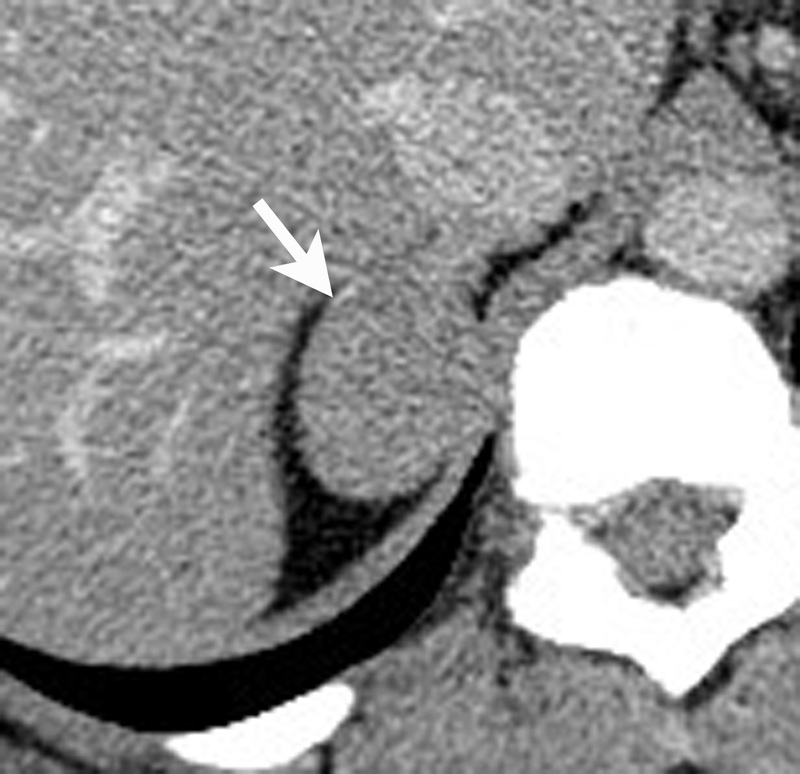 Delayed enhanced CT of lipid-poor adrenal adenomas. AJR Am J Roentgenol. 2000; 175(5):1411-1415. Rodacki K, Ramalho M, Dale BM, et al. Combined chemical shift imaging with early dynamic serial gadolinium-enhanced MRI in the characterization of adrenal lesions. AJR Am J Roentgenol. 2014; 203(1):99-106. Sangwaiya MJ, Boland GW, Cronin CG, et al. 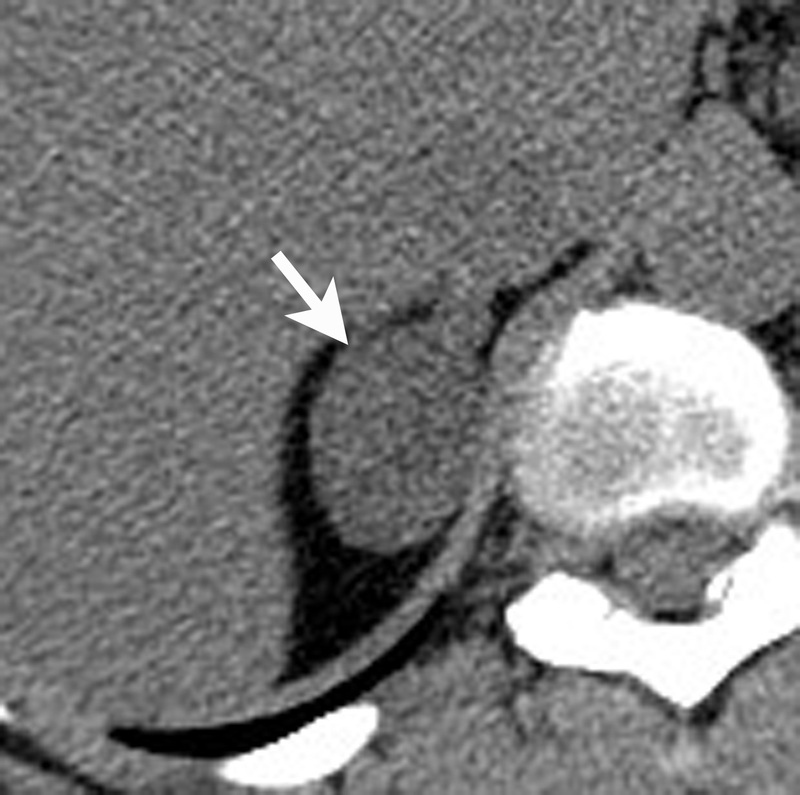 Incidental adrenal lesions: accuracy of characterization with contrast-enhanced washout multidetector CT--10-minute delayed imaging protocol revisited in a large patient cohort. Radiology. 2010; 256(2):504-510. Foti G, Faccioli N, Manfredi R, et al. Evaluation of relative wash-in ratio of adrenal lesions at early biphasic CT. AJR Am J Roentgenol. 2010; 194(6):1484-1491. Metser U, Miller E, Lerman H, et al. 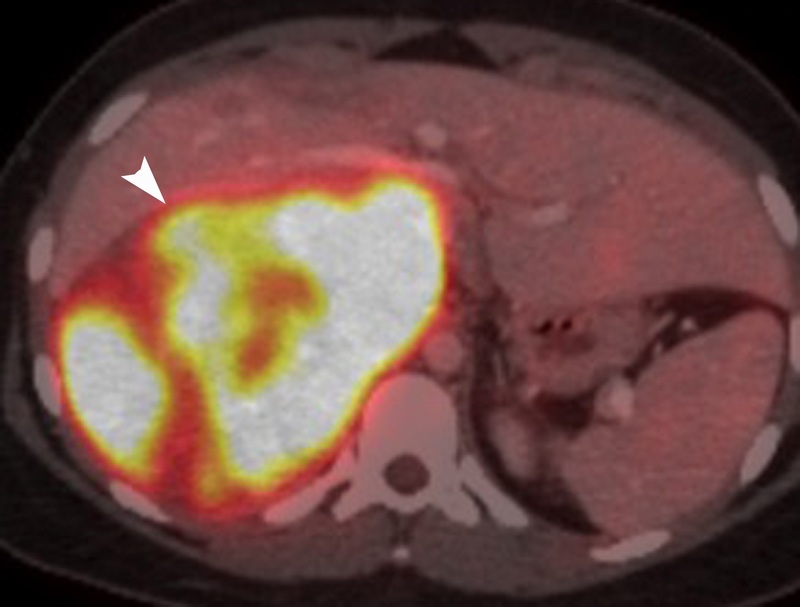 18F-FDG PET/CT in the evaluation of adrenal masses. J Nucl Med. 2006; 47(1):32-37. Park SY, Park BK, Kim CK. The value of adding (18)F-FDG PET/CT to adrenal protocol CT for characterizing adrenal metastasis (>/= 10 mm) in oncologic patients. AJR Am J Roentgenol. 2014; 202(2):W153-60. Vikram R, Yeung HD, Macapinlac HA, et al. Utility of PET/CT in differentiating benign from malignant adrenal nodules in patients with cancer. AJR Am J Roentgenol. 2008; 191(5):1545-1551. Boland GW, Blake MA, Holalkere NS, et al. PET/CT for the characterization of adrenal masses in patients with cancer: qualitative versus quantitative accuracy in 150 consecutive patients. AJR Am J Roentgenol. 2009; 192(4):956-962. Boland GW, Dwamena BA, Jagtiani Sangwaiya M, et al. Characterization of adrenal masses by using FDG PET: a systematic review and meta-analysis of diagnostic test performance. Radiology. 2011; 259(1):117-126. Mayo-Smith WW, Boland GW, Noto RB, et al. Radiographics. 2001; 21(4):995-1012. Ho LM. 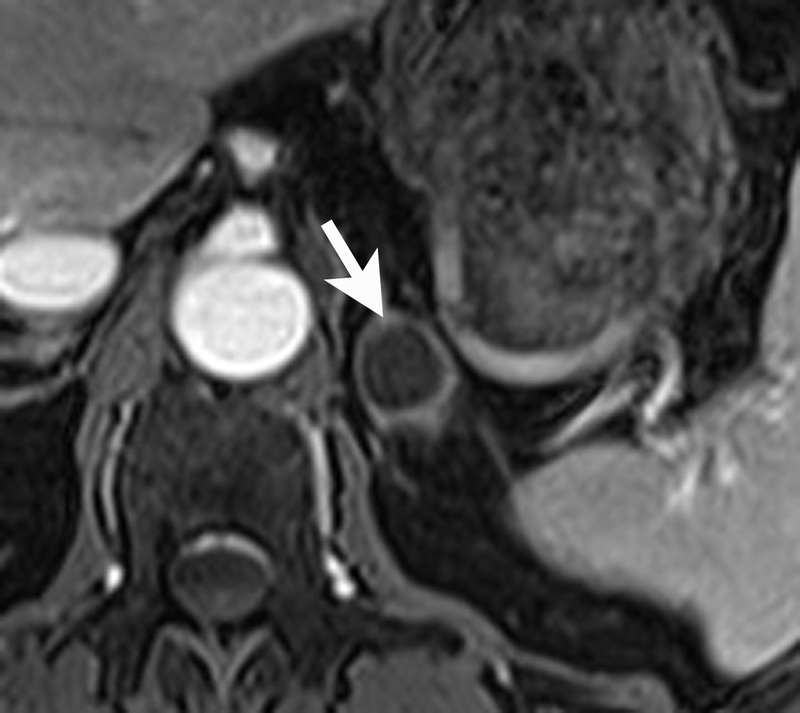 Adrenal imaging: A three-category approach to managing incidentalomas. Appl Radiol. 2018;47(10):8-13. Lisa M. Ho, MD, is an Associate Professor of Radiology at Duke University Medical Center, Durham, NC. Conflicts of interest: None.